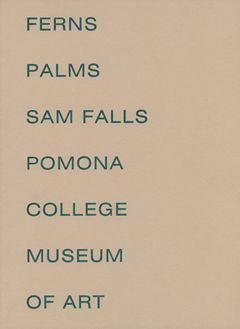 Paperback, 8.75 x 11.75 in. / 76 pgs / 10 color / 52 bw. Edited with introduction by Rebecca McGrew. Text by David Pagel. 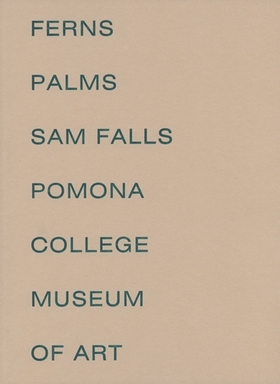 Ferns and Palms accompanies Los Angeles–based artist Sam Falls' (born 1984) first solo museum show at the Pomona College Museum of Art. 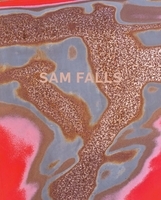 The book includes his signature weather-driven paintings and a new site-specific outdoor sculpture composed on an altered pickup truck filled with succulents. 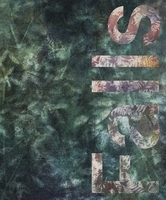 FORMAT: Pbk, 8.75 x 11.75 in. / 76 pgs / 10 color / 52 b&w.